I wish I could remove the black squares between 24A & 26A and its symmetrical spot (REMO / LEN & EME / AIWA). I tried to give the grid more flow but failed. The theme entry choices were rather limited. Some great themers, too. TONGUE LASH is a fantastic answer on its own, and it hides TONG well. Same goes for PANTOMIME and PANT, and SOCKET SETS and SOCK. Excellent finds. 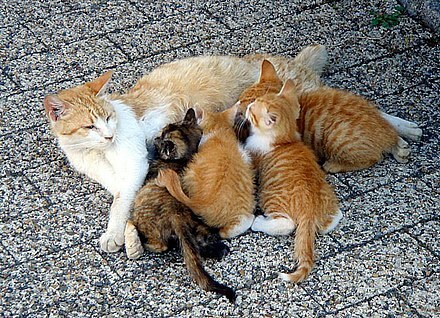 I hesitated on HAS KITTENS. Google says that this is a real phrase, meaning to lose one's cool, but I'd never heard it before. Perhaps it's a generational thing? I also found it odd that two of the PAIRS were normal terms — SOCK and SKI — while PANT and TONG are rarely used in the singular. For me, it would have been much better to make all four of the same type. I might lean toward the PANT and TONG direction, as a previous puzzle played on this concept very well. I also would have liked the PAIRS of items to be parallel rather than intersecting. As neat as it was to have two SOCKs knotted together, it's odd to see SKIs like this, as well as PANTs. (TONGs could go either way.) But running parallel theme PAIRS atop each other is much, much harder to do than intersecting them. Don't get me wrong, intersecting theme pairs does cause all sorts of problems around the intersection. The lower left is a perfect example — PANTOMIMES / PANTRY are hard enough to fill around, but when you add in some more long slots with IM IN AWE and IN RETURN, you're bound to have trade-offs. In this case, OTROS / EME / RWY (railway?) is a heavy price to pay. What could C.C. have done to ease this? Tough call, but compare the white space in the lower left region to the upper left — much easier to fill that upper left. Perhaps putting a black square at the first E of EME, and removing the black square between EME and AIWA? Constructing is usually a delicate balance, trying to make sure not one of your regions suffers too greatly. I enjoyed the concept — very creative — but felt like the overall execution could have been better, especially given my elevating expectations around C.C. 's work. Average word length: 4.77, Scrabble score: 284, Scrabble average: 1.53.